Dr. Glass is an experienced and established dental practitioner who offers the most current dental care in all phases of dentistry while providing personalized attention in a small private practice setting. He has built his practice in Littleton, Colorado on the basis of providing the best comprehensive care available for all members of the family. He provides care for patients as young as 3 years old to the senior with advanced dental needs. His extensive training and experience set him apart from your typical family dentist. He has proudly served the Columbine community since 1976. Born and raised in North Dakota, Dr. Walter Glass earned his Bachelor of Science degree from the University of North Dakota in 1969. He then went on to receive his DDS degree from Northwestern University in 1973. 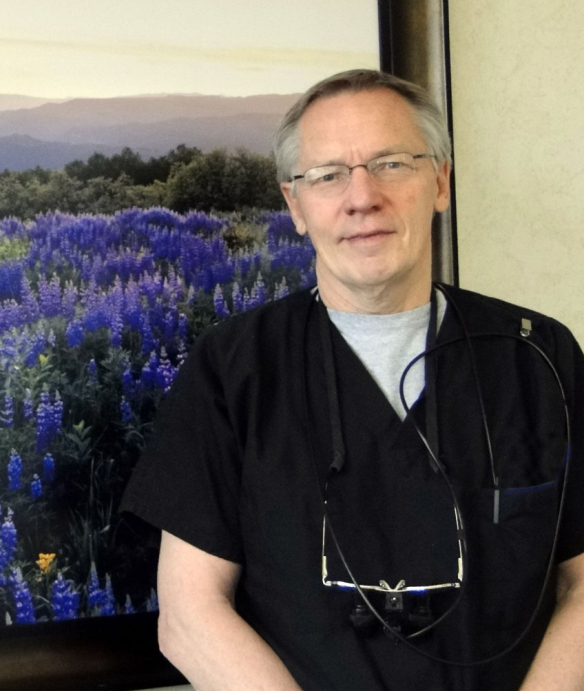 After his residency in the Air Force he began his private practice here in Colorado in 1976. Dr. Glass has earned Fellow status from the Academy of General Dentistry and attends ongoing continuing education courses and workshops to ensure that you receive the best in dental care. His specialized training includes the areas of Orthodontics, Prosthodontics, Endodontics, Anterior Cosmetic Reconstruction, Implantology, Periodontics, and Gnathodontics. Dr. Glass provides anxiety free dentistry for those patients who have put off their treatment because of fear of the dentist. He has had training in conscious oral sedation through DOCS (Dental Organization for Conscious Sedation). Dr. Glass caters to the unique needs of patients with stress and anxiety over dental care. Sedation dentistry has proven to be a miracle for those who have avoided dental treatment for years.